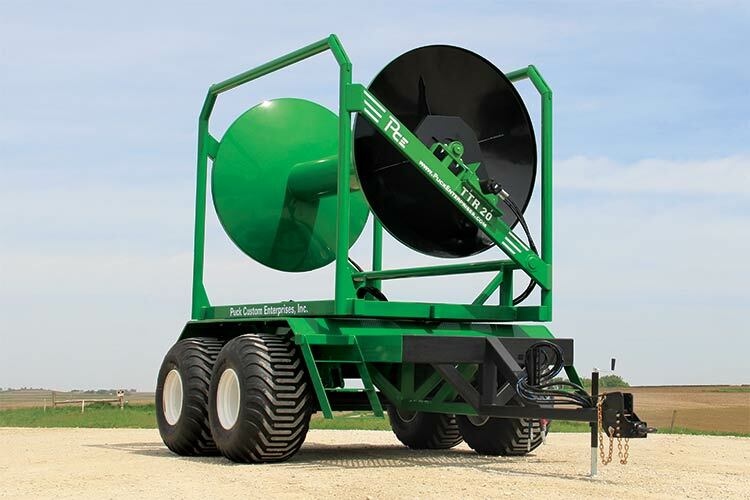 Navigating rough ground or bad field conditions? 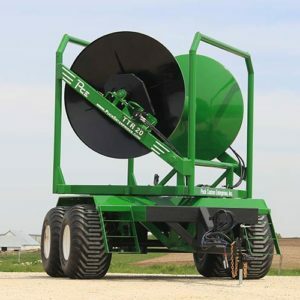 Not a problem with this turn-table reel. The TTR-20 has a tough, well-balanced design that can traverse any terrain, with tandem axles and flotation tires. 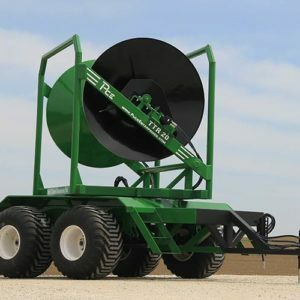 This stable, performance-proven turn-table reel has been crafted from Puck’s years of liquid transport experience and tested in the toughest conditions. The TTR-20 is robust, well-balanced and built tough to handle any job. 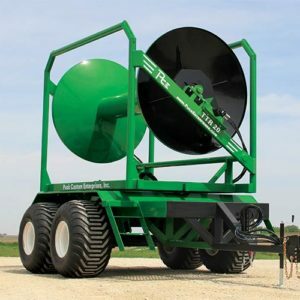 The TTR-20 can manage 2 miles of 8-inch hose at a time — or even a mile of 10-inch. 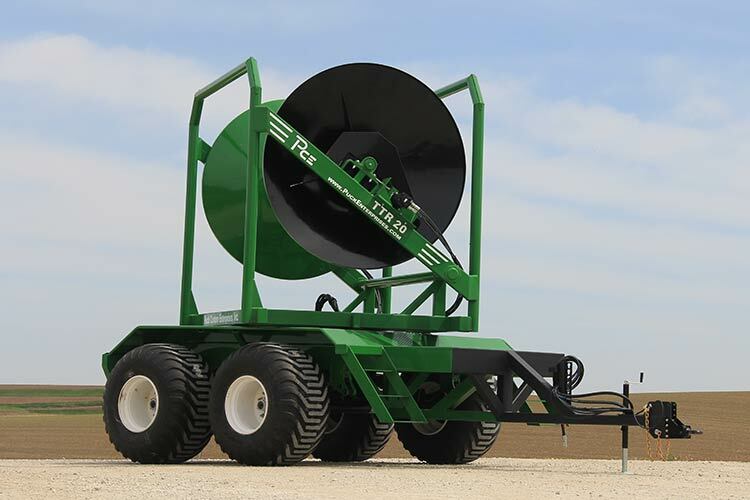 A higher reel clears up the operator’s line of site, making it easy to fill the cart and take care of the hose. These tasks should be simple, and the TTR-20 makes sure they are. A turn-table reel is only as good as its tires — and the TTR-20’s are excellent. 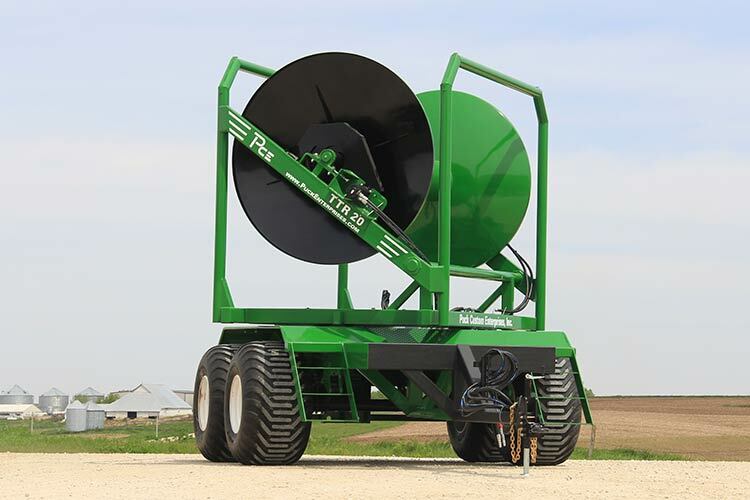 Tandem axles with flotation tires provide the weight distribution needed to move through the rough ground with ease, keeping your operation on track. Single-person operation using the tractor’s hydraulics allows you to eliminate downtime effectively. 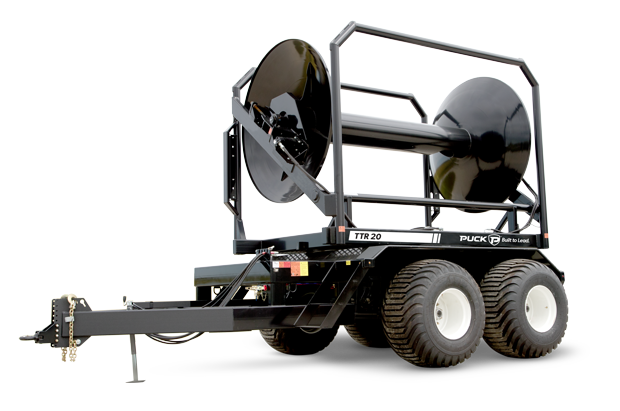 With the same innovative features as Puck’s traditional hose carts, the TTR-20 is built for premium performance.